We’re a family owned and operated collision repair shop that has serviced the Las Vegas Valley for over 20 years. 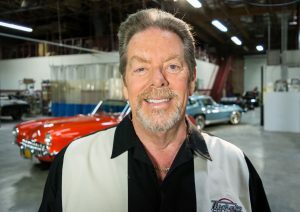 A little about the Tucker name: Rick Tucker began restoring classic Corvettes 50 years ago, and first established his Vegas-based classic car restoration business in 1978. Rick developed the core values of keen attention to detail and exceptionally safe repair work from his award winning classic car restoration business. These core values are evident in every repair job that comes through Tucker’s Collision. Here at Tucker’s, we treat your vehicle in the same manner as one of our award winning restoration projects. Here at Tucker’s Collision, our top priority is both you and your vehicle. Bringing your vehicle back to pre-accident condition, not just visually but especially in functional safety, is absolutely paramount. We firmly believe that you as a consumer have the right to choose who you do business with. Nobody should determine where you get your vehicle repaired. Nobody should have the right to tell you how to spend YOUR money. That’s why we operate outside of preferred programs put on by the insurance companies in order to eliminate any conflict of interest between you and the insurance provider. Simply put, we have your back. We will fight for you, ensuring that only the highest quality materials are used in restoring your vehicle to factory specifications. We have and continue service Las Vegas, Spring Valley, Paradise, Enterprise, Sunrise Manor, Whitney, and Winchester area drivers for over 40 years!